I’ll be launching my first book ‘Office Dogs: The Manual’ in Pearse Street Library on the 16th April at 5.45. The Lord Mayor Nial Ring will be in attendance and refreshments will be available. 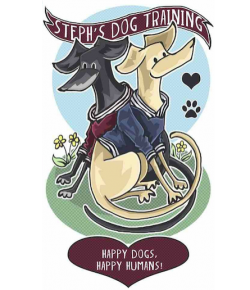 All welcome, but if you can, please rsvp to the event page or steph@stephsdogtraining.ie so I get enough wine! Pre-order the English version of my book on Amazon!